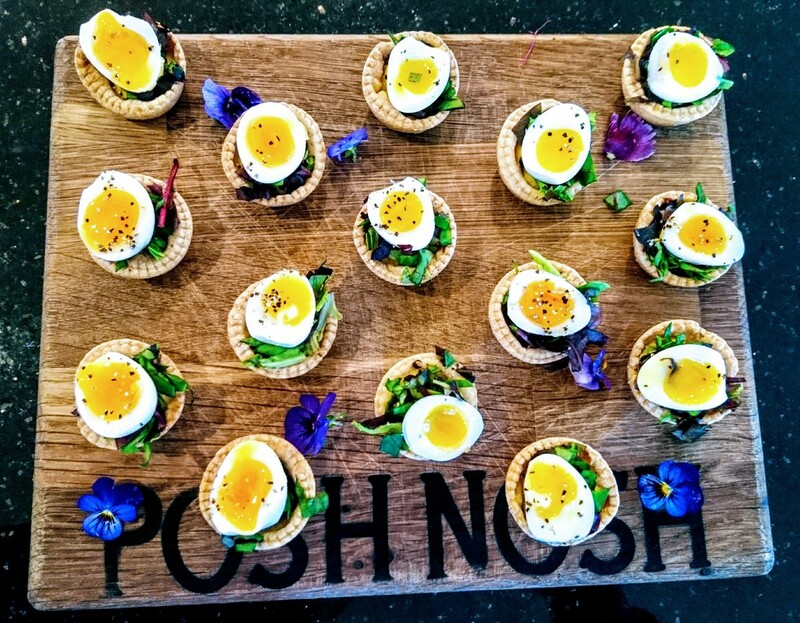 Bright and light canapes at last weekend's 80th birthday party! This was followed by the main event that we set up on a hessian covered table to create a rustic feel, allowing guest to help themselves to the buffet. For the main items, there was a meat dish, a fish dish and a vegetarian dish; these were accompanied by 4 different salads and homemade breads. Please see our Feasts & Festival menu for all our Rustic Table options. A choice of 3 desserts were served on large sharing platters, followed by Tea & Coffee along with homemade macaroons to finish off the meal. After serving the meal, the team then cleared down and packed up leaving the house as they found it, allowing the hosts to completely relax and enjoy the rest of the party without having to think about unloading the dishwasher, polishing glasses or taking out the bins. Next: Glowing feedback for the whole team!